Heart-Kun, the perrito, cachorro. 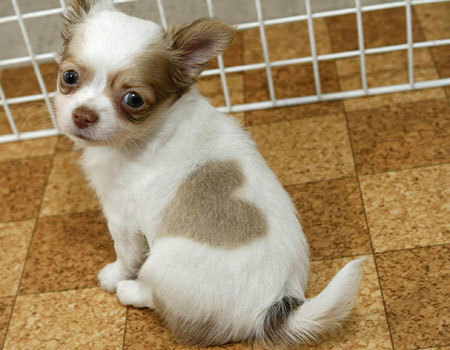 Heart-kun, the Japanese perrito, cachorro with the perfect heart-shaped birth mark. Wallpaper and background images in the increíble club tagged: puppy dog heart-kun japan hear-shaped birthmark cute adorable. This increíble photo might contain chihuahua. bite off más thanyoucan chew? Does it make tu crazy? !